Removing spark plugs can be hard to do, so make it easier with this spark plug socket from SLP for your C6 Corvette. This socket is cut to fit into extremely tight areas, with the square drive removed to let the plug protrude. 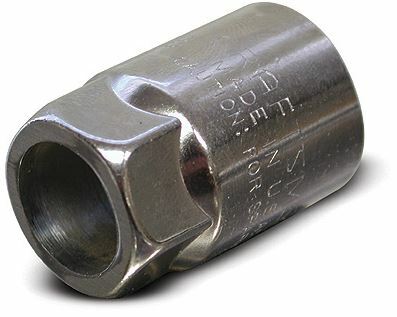 In order to turn this socket, you'll need either a box end wrench or open wrench on the hex base.